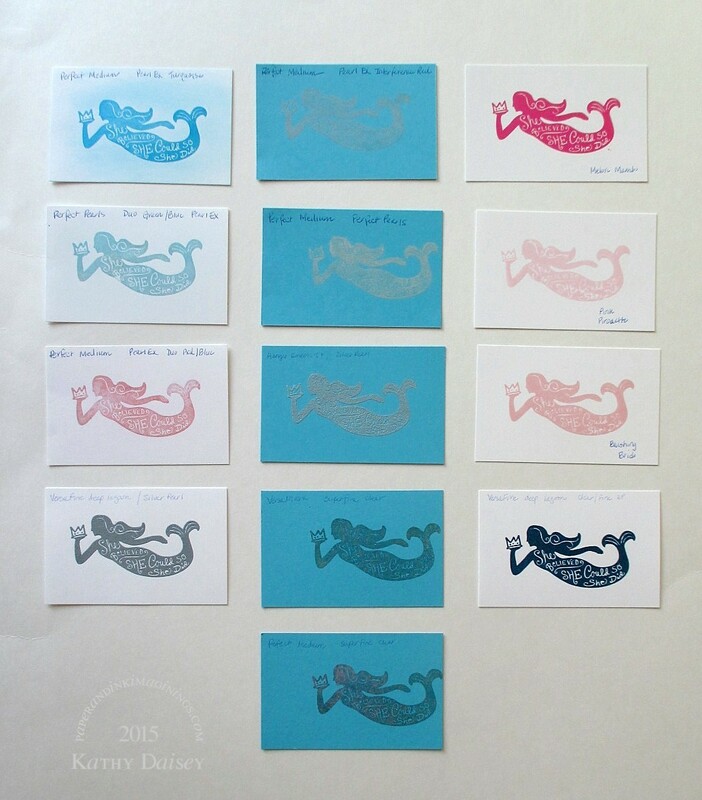 Another mermaid sample. This one was Pearl Ex (Duo Red/Blue) over Perfect Medium. The turquoise layer was embossed with Lawn Fawn’s Stitched Hillside Borders, hoping to look like rolling swells instead of hillsides. 😉 Pearl Ex needs to be sealed (it rubs off), I sprayed on a Krylon product before using the white mermaid layer in the card. The stack that got put into the recycling bin was larger! Supplies: Stamp – Inkadinkado, paper – Neenah Classic Crest Solar White, Stampin’ Up! 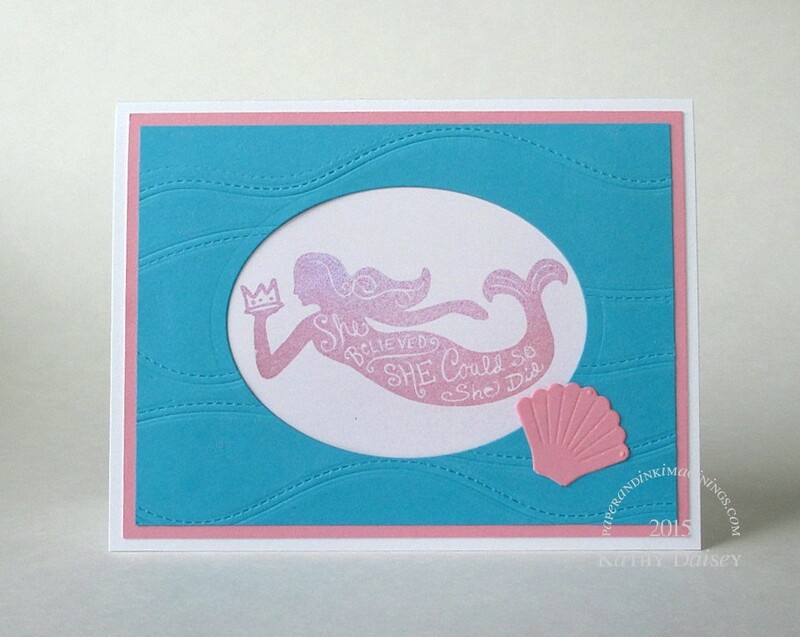 Pretty in Pink (retired), Tempting Turquoise, ink – Ranger Perfect Medium, dies – Lawn Fawn (hillsides), My Favorite Things (shell – I snipped off the charm hole), Spellbinders (oval), mica powder – Pearl Ex Duo Red/Blue, Krylon Matte Clear Finish. Categories: card, encouragement | Tags: card, Inkadinkado, Lawn Fawn, My Favorite Things, Neenah, pearl ex, Ranger, Spellbinders, Stampin' Up! | Permalink.